Below you will find all available Dana Point waterfront homes for sale, this includes homes on the beaches, cliffs and bluff fronts. Please feel free to browse Dana Point waterfront real estate and let us know if you have any questions or would like assistance with your home search. 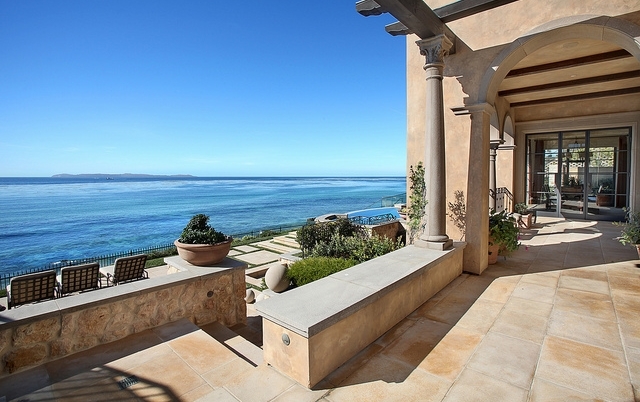 Dana Point waterfront homes offer some of the best views in Orange County. It is guaranteed you will experience peace and serenity while taking in the views of the exquisite Dana Point Harbor, Catalina Island and the panoramic breathtaking white water ocean views. Residents enjoy all these features the great city has to offer! The Dana Point Harbor is a popular place for both residents and visitors; offering many specialty shops and fine dining restaurants. Believe it or not this fine destination is about to become even more desirable as the city has plans to renovate the harbor, making it the finest harbor in Orange County. If you would like further information or assistance regarding Dana Point waterfront real estate and available homes for sale on Dana Point's waterfront communities, please feel free to contact us.